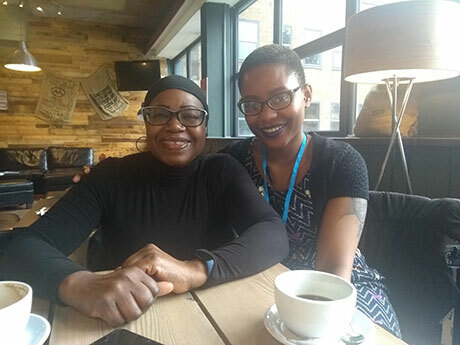 It’s almost a year on since Ethnic Minority and Youth Support Team (EYST) helped to co-produce one of our first Apprenticeship Engagement Events (AEE) in May 2018 that targeted women from Black Asian Minority Ethnic (BAME) who were keen to access training and employment opportunities. The event highlighted the various challenges that BAME women face when trying to access employment and the importance of finding suitable role community models and mentors to show what can be achieved. We are therefore pleased to announce that NTFW’s Strategic Equality and Diversity Lead (SEDL) Humie Webbe has become a mentor on EYST’s newly launched BAME Routes to Public Life mentoring scheme which offers opportunities for individuals to gain employment skills from other BAME people in high profile public roles. The mentoring project will run from February to July 2019 and includes other high profile mentors such as Vaughan Gething (AM, Cabinet Minister for Health & Social Services); Professor Emmanuel Ogbonna (Cardiff University Business School); and Tonia Antoniazzi (MP) to name a few. Tobi will shadow Humie at selected NTfW meetings and events and receive one to one mentoring sessions. We all wish Tobi good luck on her journey to become an apprentice!